This is the winner list of "Peraduan Menangi Hadiah-hadiah Hebat". Week 9: TV LED HD Penuh Samsung 40"
Click here to view the detail of "Peraduan Menangi Hadiah-hadiah Hebat" contest. 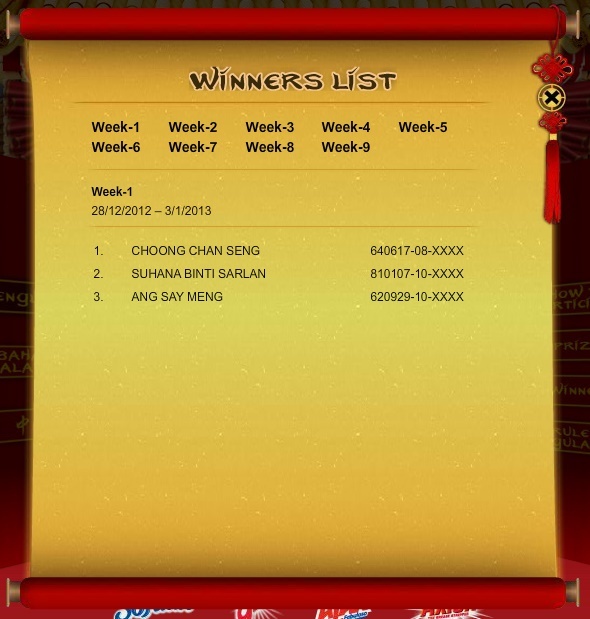 Crack the eggs to release more lucky draw prizes: iPod Nano, iPad Mini, Galaxy S3 mini, iPad 4 & many more. Join now!